This entry was posted in Uncategorized on January 30, 2017 by Jodi Mackay. Marion's smile could warm a room! Those that knew her enjoyed her humor and her company. This entry was posted in Uncategorized on January 26, 2017 by Jodi Mackay. Our hearts are deeply saddened by Jacob's passing. We are grateful for the time we at COR and The Career Guidance Center got to spend with him. This entry was posted in Uncategorized on January 16, 2017 by Jodi Mackay. On Thursday, 1/12, at 1 pm, in the COR client lunch room, we will be having a small “no host” gathering to share memories of Cindy Buczkowski. This will be a time for everyone to come together and informally share their memories of Cindy. If you’d like to bring an item to display that Cindy made for you or helped you make, please feel free. 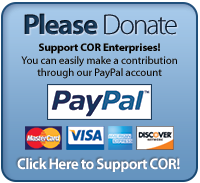 If you have some photos you'd like to share, please email them to jmackay@corenterprises.com. We will be providing cookies and coffee. This entry was posted in Uncategorized on January 10, 2017 by Jodi Mackay. This entry was posted in Uncategorized on January 9, 2017 by Jodi Mackay. Our hearts are saddened by the loss of Cindy Buczkowski. She was a Training Specialist in our DMS area. After a serious car accident in Washington, she lost her life as the result of her injuries. Cindy was so creative and passed her passion along to all those she tirelessly served. She had a huge heart and was a strong advocate for her clients. 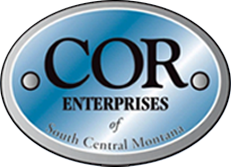 She will be greatly missed by all of us at COR Enterprises. We wish peace and comfort to her family, friends, clients and coworkers during this difficult time. This entry was posted in Uncategorized on January 5, 2017 by Jodi Mackay. This entry was posted in Uncategorized on January 3, 2017 by Jodi Mackay.